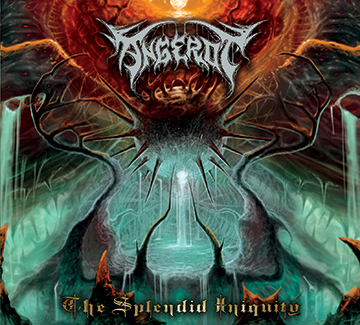 South Dakota-based Death metallers, Angerot, rise from the ashes of Midwestern Metal to announce their crushing debut album, The Splendid Iniquity. ANGEROT has tapped Decibel Magazine for the exclusive premiere of album track “Eternal Unrest.” Check it out at http://bit.ly/2ELg8hZ. The Splendid Iniquity is scheduled for release on Friday, April 13 through Black Market Metal Label. This entry was posted on February 23, 2018 at 5:15 pm and is filed under Heavy Metal, Metal, metal music, Music, music news, news, rock music, world news with tags angerot, Death Metal, Heavy Metal, metal albums 2018, metal odyssey, rock music. You can follow any responses to this entry through the RSS 2.0 feed. You can leave a response, or trackback from your own site.